Welcome to Online Reasoning Test in AffairsCloud.com. We are starting Cumulus Course for IBPS Clerk 2018 Main Exam and we are creating sample questions in Reasoning section, this type of Question will be asked in IBPS Clerk 2018!!! What is the code for ‘China’ in the following language? Number – Subtract the position of 2nd alphabet from right end with 2nd alphabet from left end. Hence, ‘regular’ is coded as ‘X#4’. What is the code for ‘Physical Training’ in the given language? What is the code for ‘Yellow’ in the given language? 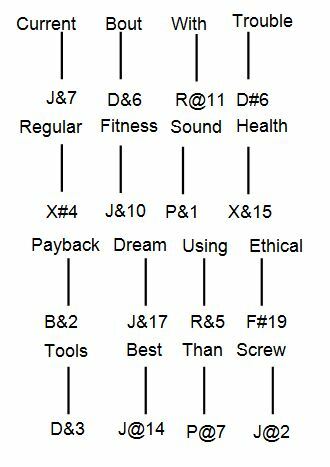 ‘B&14’ will be the code for which of the following? What is the code for ‘ethical’ in the given language?What is the code for ‘ethical’ in the given language? A, B, C, D, E, F and G are working in a public sector bank. The rank of people decreases as moving from left to right MD, ED, CGM, GM, DGM, AGM and officer. They like different colors among red, black, yellow, green, blue, pink and white but not necessarily in the same order. 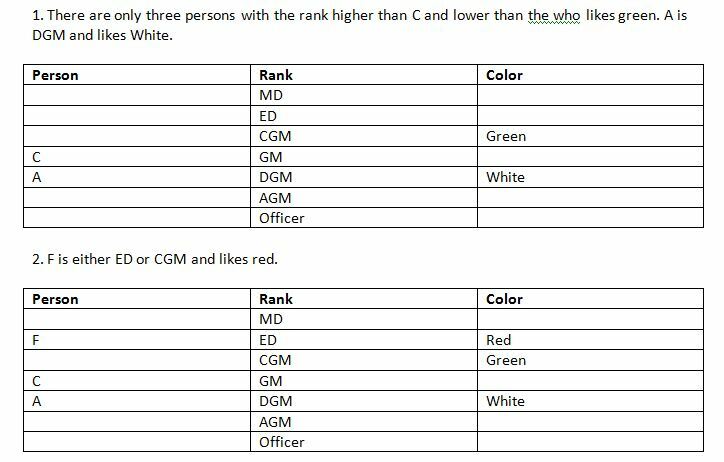 There are only three persons with the rank higher than C and lower than the who likes green. A is DGM and likes White. F is either ED or CGM and likes red. The rank of D is higher than B but lower than the one who likes black. Neither B nor D is AGM. E likes yellow. Neither C nor AGM likes Pink. Who among the following is AGM? Who among the following likes Blue color? Who among the following likes Pink color? The person who likes Black working at which post? How many persons have higher rank than E?